There are over 6 million vehicles in the greater Los Angeles area. More than half the population owns at least one car in urbanized areas. Dashcams are growing in popularity to determine who is at fault in the event of an accident. However, they are generally only used when the car is on. There needs to be some way for to be monitored when the driver is not nearby in the event of hit-and-runs, tire slashing, window breaking, and the like. 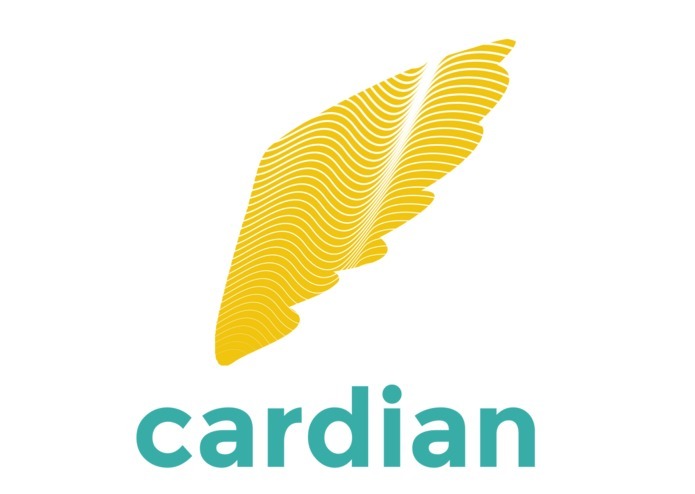 Cardian Angel is a vehicle monitoring system that tracks when people attempt to perform unwanted acts on your cars. It uses an accelerometer to determine disturbances and takes photos of the nearby environment to alert the owner using Twitter. The accelerometer is attached to an Arduino, which constantly scans for a disturbance to the vehicle. 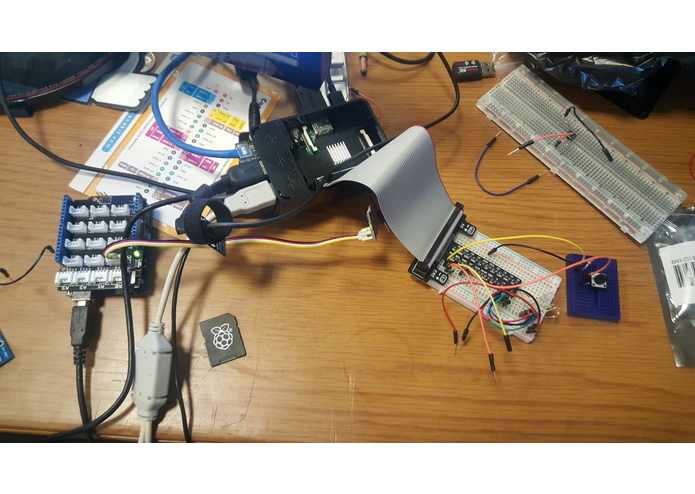 The Arduino communicates with a Raspberry Pi with Python, and uses a USB webcam to take a picture of the environment (more importantly, the attacker). Afterwards, the Raspberry Pi will post the picture on Twitter. Timing problems with the Arduino pulling too much information at once. Utilizing the Arduino without the IDE it comes with. 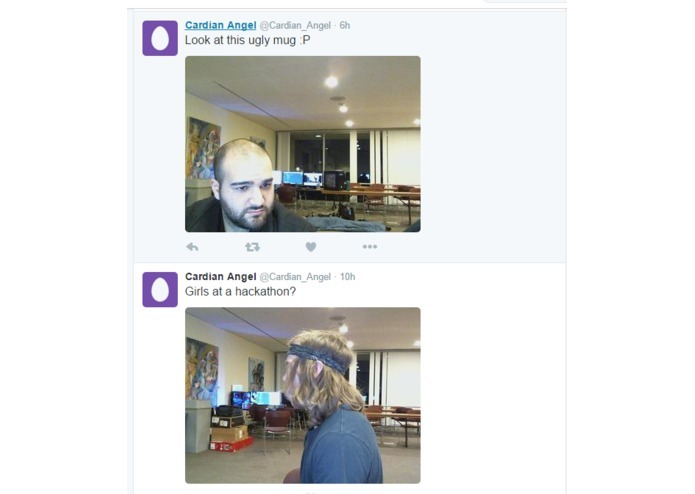 Twitter was a proof of concept technology, and releasing actual photos of people may lead to false positives. Using a more private service such as Twilio may be desired. We want to be able to have more cameras to take pictures all around the vehicle. Using something like a GoPro that can take a 360 degree photo could work in place of this. Potentially use a GPS in case the car is stolen to track where your car is. I like to think I'm Grace Hopper reincarnated.